The Movie Poster »The Last Command« for the Movie »The Last Command« from Director Josef von Sternberg on CAFMP – Central Archive for Movie Posters. 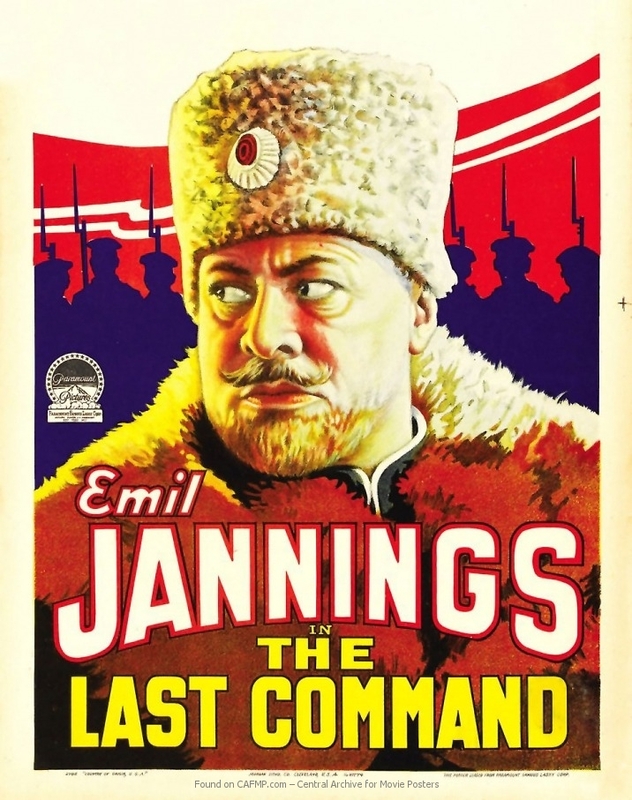 Poster »The Last Command« from movie »The Last Command« on CAFMP - Central Archive for Movie Posters with the star Emil Jannings on it. Please note: You are about to vote for the poster art, not the movie »The Last Command«. This way we can publish highlights of a particular year and also present your all-time-favorites. If you found a mistake in our data for the Poster (The Last Command) just send us corrections or further information with this form. This is NOT a comment form. For release comments to the posters scroll down.